Susan Bridge spoke about her award-winning teaching career leading up to being the respected principal of Cheltenham Girls High where parents move to the area so their girls can attend this popular school that prides itself on high ranking academic results, rich cultural experiences encouraging leadership, diversity, resilience, kindness and care for our community. Susan is retiring in 4 weeks’ time and after celebrating a wonderful leadership career she is planning a holiday to the Greek islands with her husband. 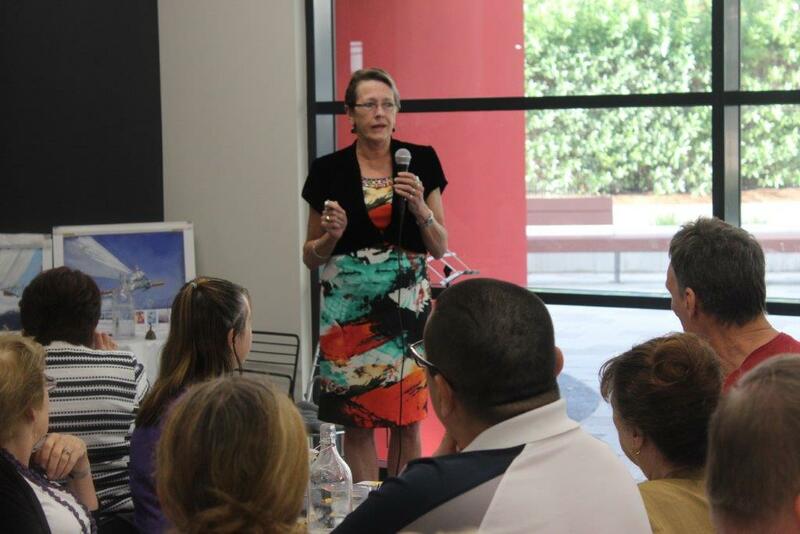 ‘Our community will eagerly await her return to new leadership roles or any projects where her heart takes her.’ said Susan Hughes. 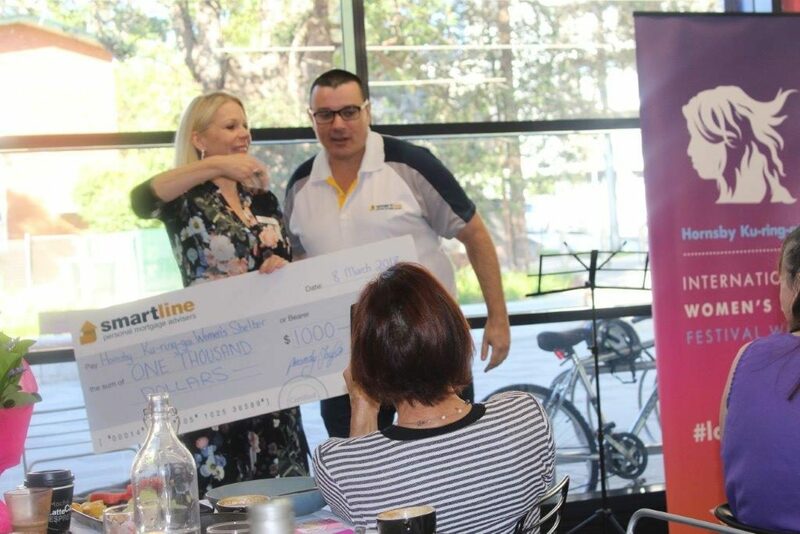 Greg Wilkinson and Mandy Taylor, owners of Smartline Personal Mortgage Advisers further delighted guests and Lianne by presenting a cheque to her for $1000 as a donation to the shelter. The surprises didn’t stop and guests were further wowed with the announcement of a trial Online Art Gallery for local community artists whereby on the sale of their artwork, a 30% commission will be donated to the shelter. Kevin Anstis, a local artist, was the first to jump on board. Over the next few months if the gallery is successful the plan is to extend the gallery to cover other demographics and shelters. Also acknowledged was Julie Griffin a retired Thornleigh pharmacist for recently being awarded the Medal of the Order of Australia for her 25 years’ contribution to the community with the Domestic Violence Network and who helped establish our local Women’s Shelter. 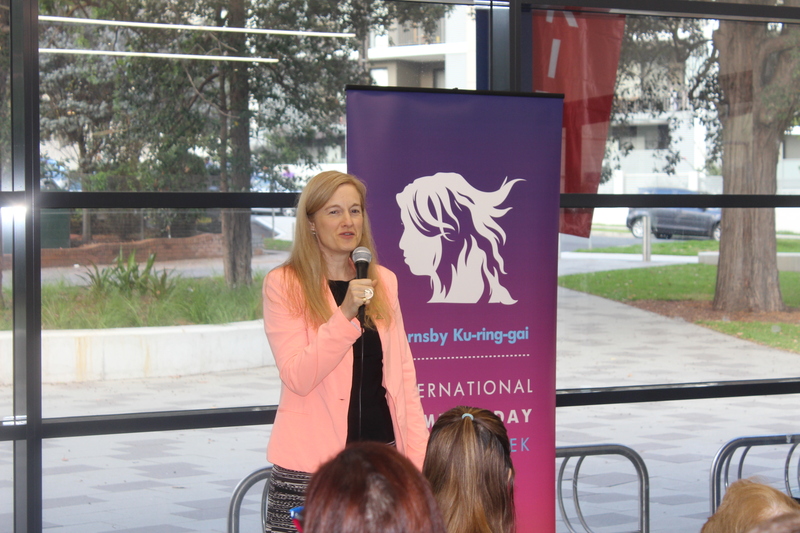 Mandy said, ‘It was International Women’s Day and we could not let it go without acknowledging Julie. To have someone like Julie who has dedicated her time over the years making a positive difference to women’s lives within our community is an absolute honour and it was only fitting that we celebrated and recognised her on the day’. 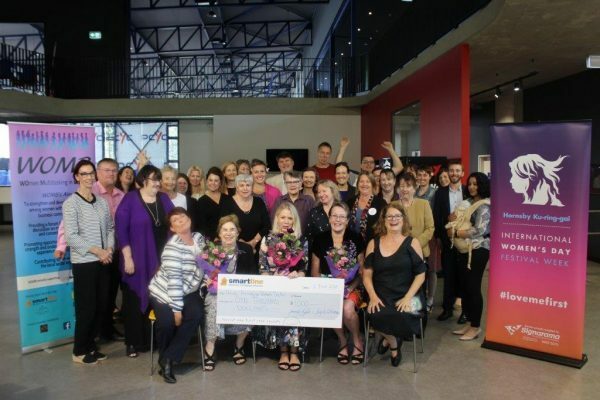 Gillian Reed & Justine Mitchell – Gillian Reed & Associates, Vicki Martin – Objective solutions, Medal of the Order of Australia receiver, Julie Griffin, local councillors Emma Heyde, Janelle McIntosh, Joseph Nacita, Lucy Dahill – Why Be You & Tori Huxtabull for all your help on the day. Sponsors:- Lana & Scott Vickery -Signarama Thornleigh, Amy Harrison – Art of the Flower, Ned Strong – Lone Alarm Pty Ltd, Susan Hughes – Vizymates, Greg Wilkinson – Smartline Personal Mortgage Advisers.